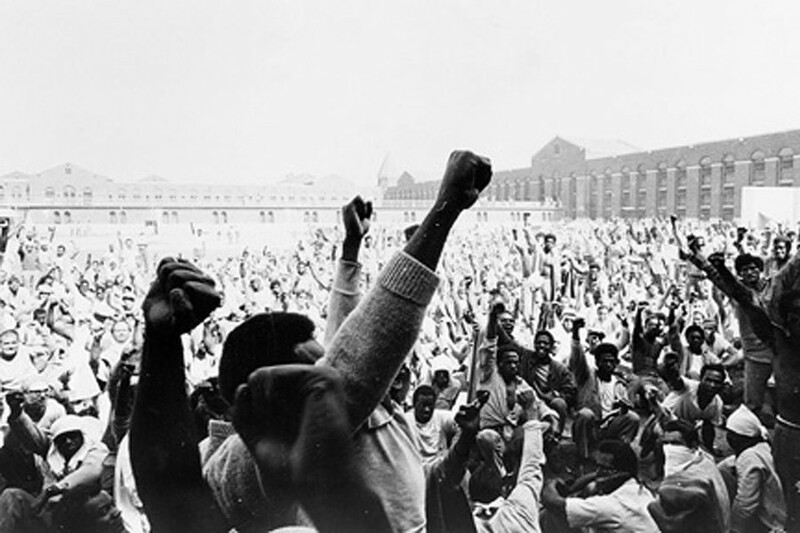 In September of 1971 a prisoner-led uprising took place at Attica Correctional Facility, with more than half of the prison's population taking control of the facility and holding 42 staff hostage. After four days of negotiations, authorities agreed to dozens of the prisoners' demands for better living conditions and political rights. The Attica uprising remains one of the most significant moments in the Prisoners' Rights Movement. This week Rochester justice activist group Enough is Enough will present a film and discussion program, "Prisoner Rights are Human Rights: History of the Attica Uprising" as part of VSW's Community Curator Program. The event includes screenings of Cinda Firestone's 1974 film "ATTICA" as well as outtakes from the "Attica Inmate Interviews," produced in 1972 by Rochester-based media activists Portable Channel. The screenings will be followed by a discussion. "History of the Attica Uprising" will take place on Saturday, February 9, at 2 p.m. at Visual Studies Workshop, 31 Prince Street. $5, free to VSW members or with a donation to Enough is Enough. 442-8676; vsw.org.